The reputation of the Castellanis––Fortunato Pio (1794–1865) and his sons Alessandro (1823–1883) and Augusto (1829–1914)––rests principally on Classical Revival jewelry they produced from about 1863, when Alessandro established a branch of the firm in Naples, until his death. Earlier, however, the firm had explored a range of styles, and it is to this period that the letter opener, with its eclectic mixture of Early Christian, classical, and medieval motifs, probably belongs. 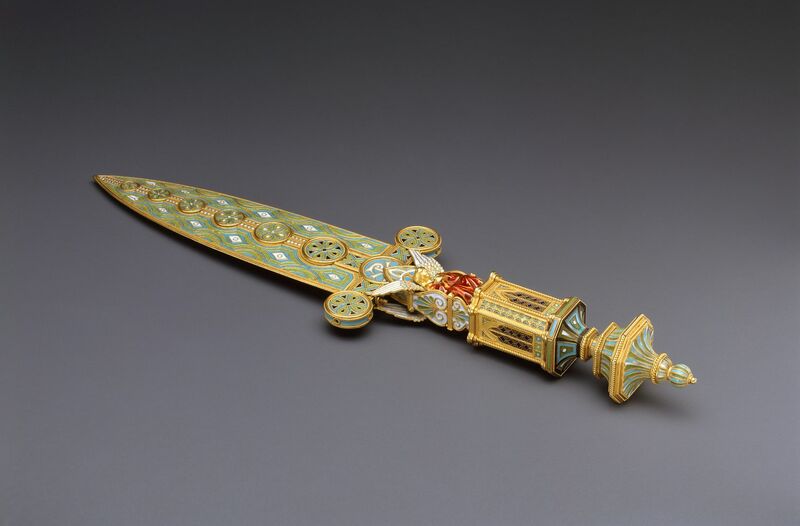 The symmetrical design, identical on both sides of the blade, features roundels and carefully proportioned geometric compartments characteristic of the work of the duke of Sermoneta, a friend of Alessandro's, who prepared similar designs for the firm in 1859. 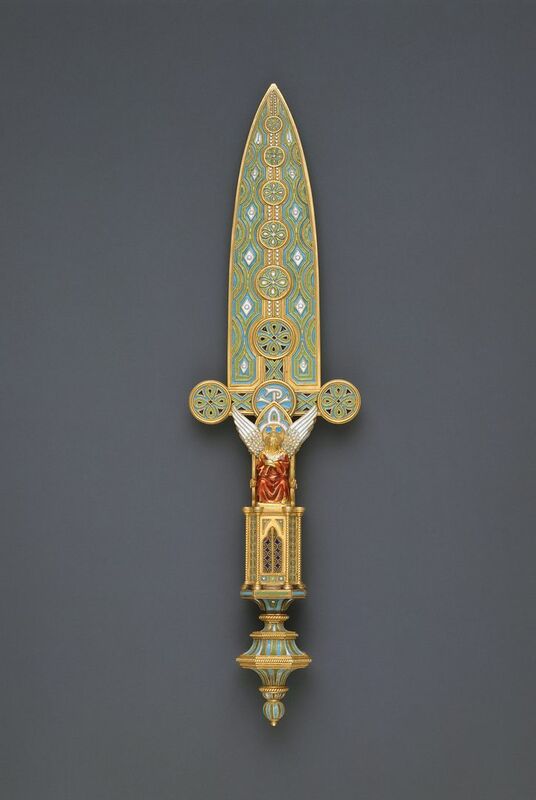 The angels on each side of the handle recall figures on a later medieval jewel that Alessandro evidently saw in England in 1861–62, of which he is known to have made five copies. The angels are enameled en ronde bosse, a technique practiced in the early sixteenth century; the remainder of the letter opener is cloisonné enamel, with the cloisons formed of gold filigree wire. Although constructed of nineteen individual sections, an effect of seamless unity is achieve by the harmony of design and color and by the impeccable craftsmanship.